First published in issue 35 of Ferment Magazine, January 2019. This article takes a look at the transatlantic cultural cross-pollination that influences the beer trade. American beer defines the craft beer movement, but dig down to its deepest roots and you’ll find it’s based on classic British brews. Bitters, pale ales and IPAs were playing on a new breed of American brewers’ minds back in the 1980s and ‘90s when craft kicked off stateside. 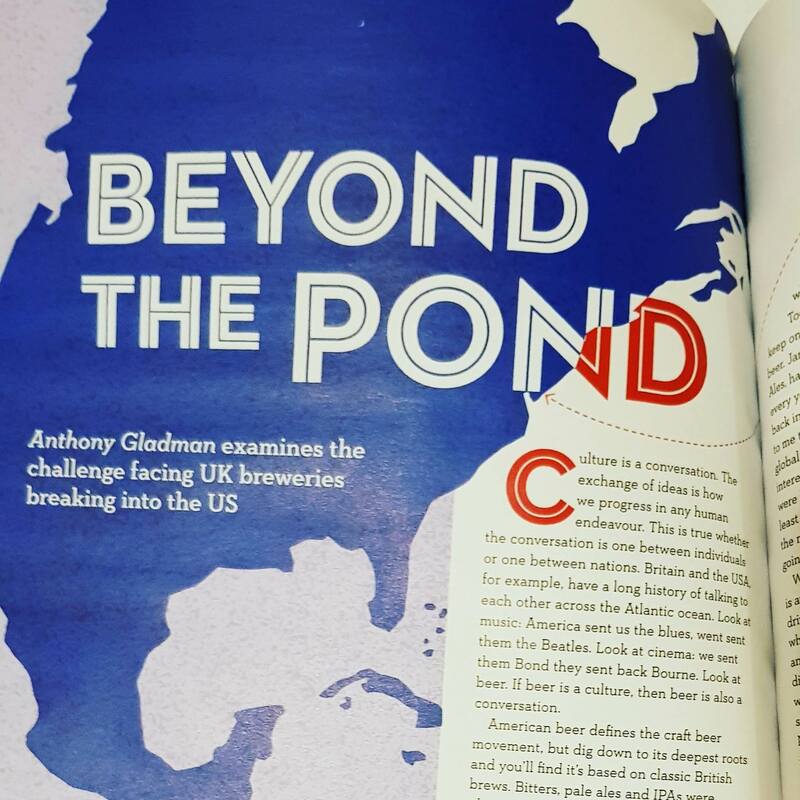 As well as the opportunities America represents for British brewers, I examine the challenges they face when they decide to export to the USA. For those who aren’t au fait with obscure commercial legislation from another nation, these laws are a hangover from prohibition designed to separate the people producing booze from the people selling it, presumably for the benefit of the people drinking it.